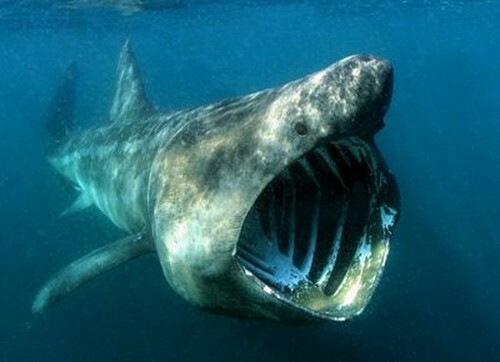 This animal as you can see is called a basking shark. 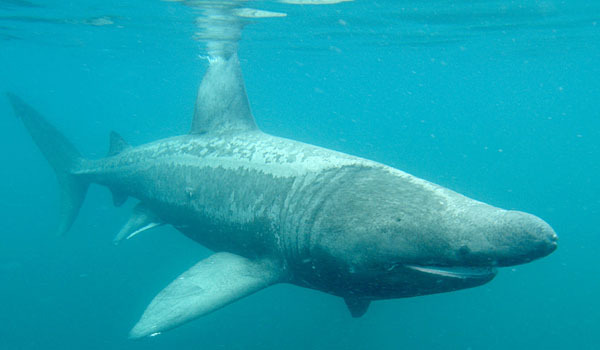 This giant shark is second in size to the whale shark. 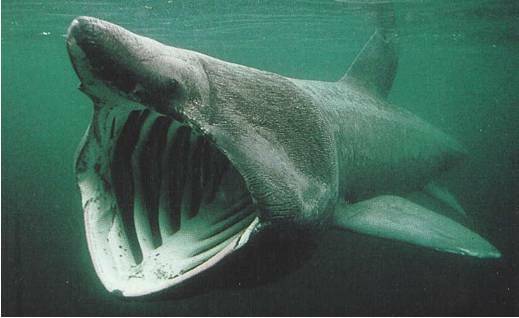 It feeds simply by swimming along with its vast mouth gaping wide. As the water rushes in, and then out again through the fish’s gills, sieve-like projections filter out minute food particles.